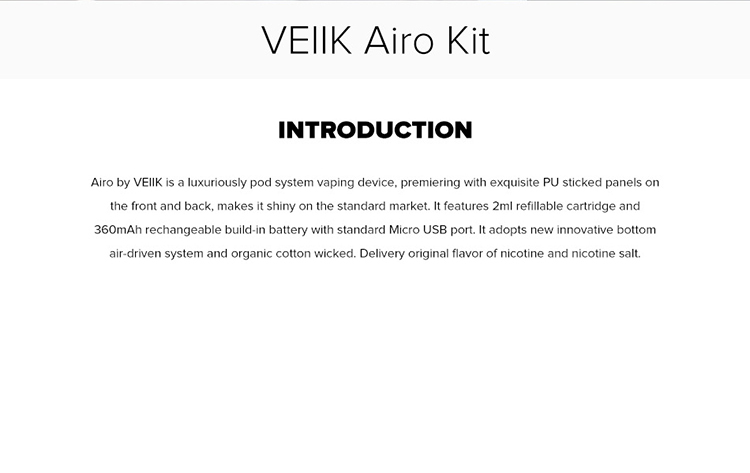 VEIIK Airo Pod System Kit comes with exquisite PU sticked panels which makes it luxury and elegant. 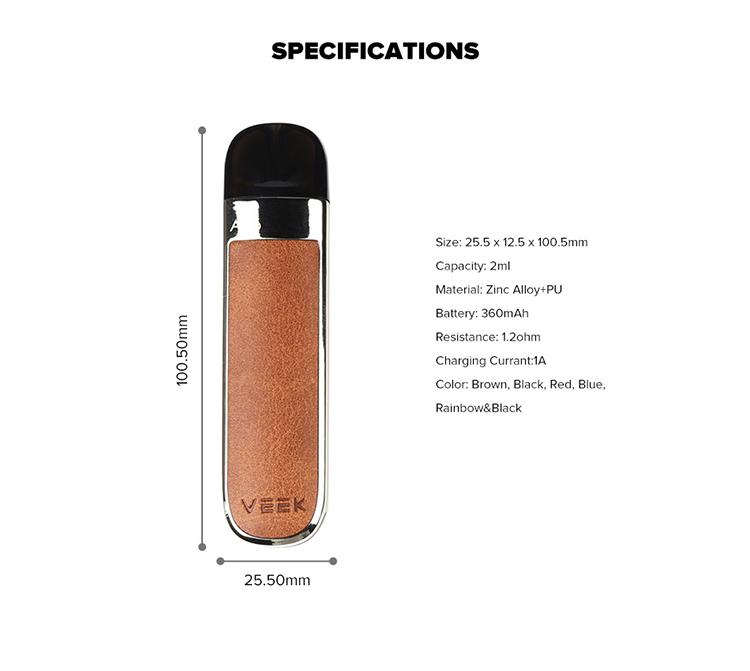 It has 360mAh built-in battery and 2ml refillable pod cartridge. The pod cartridge adopts advanced bottom air driven system to bring you optimal flavor. 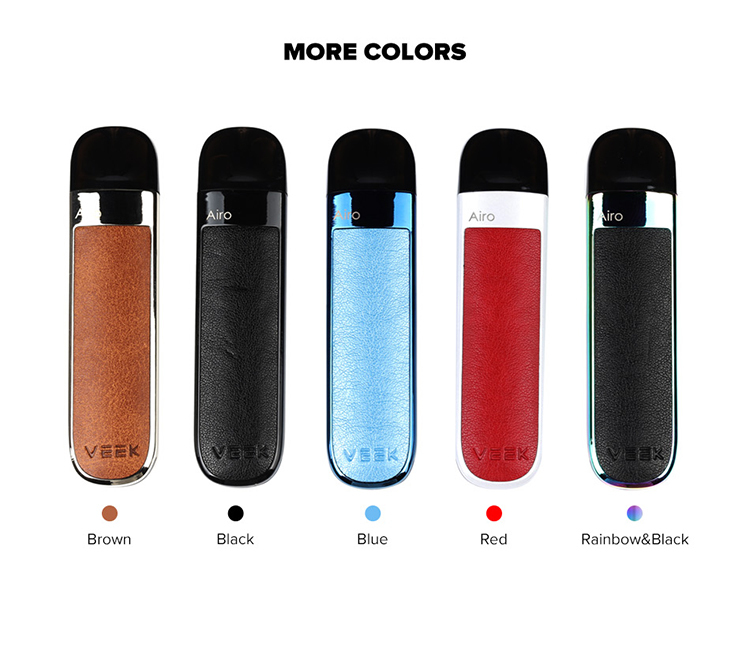 VEIIK Airo Pod System Kit comes with exquisite PU sticked panels which makes it luxury and elegant. 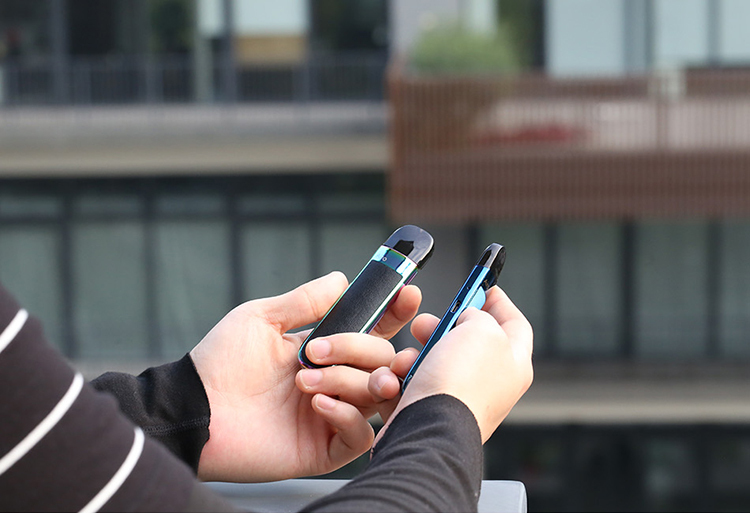 It has 360mAh built-in battery and 2ml refillable pod cartridge. 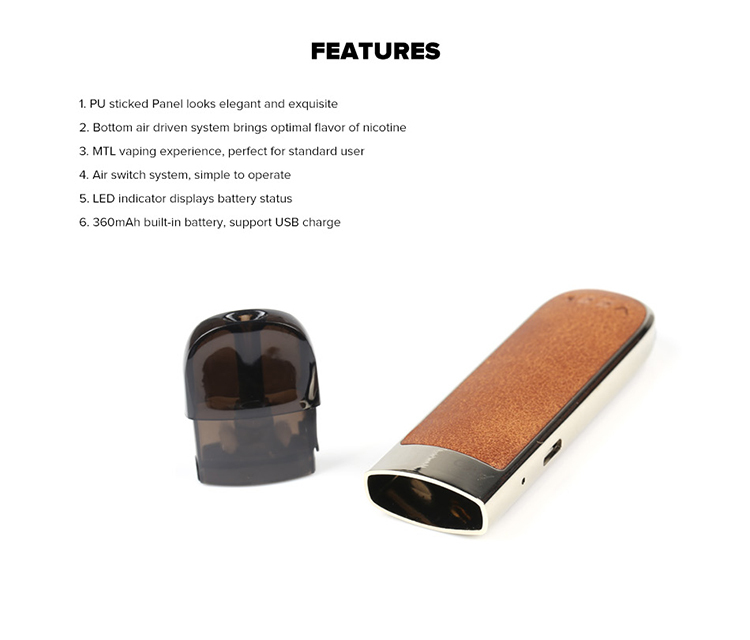 The pod cartridge adopts advanced bottom air driven system and organic cotton to bring you optimal flavor of nicotine. It also features LED indicator on the bottom for displaying battery status. Air switch design makes it simple to use.